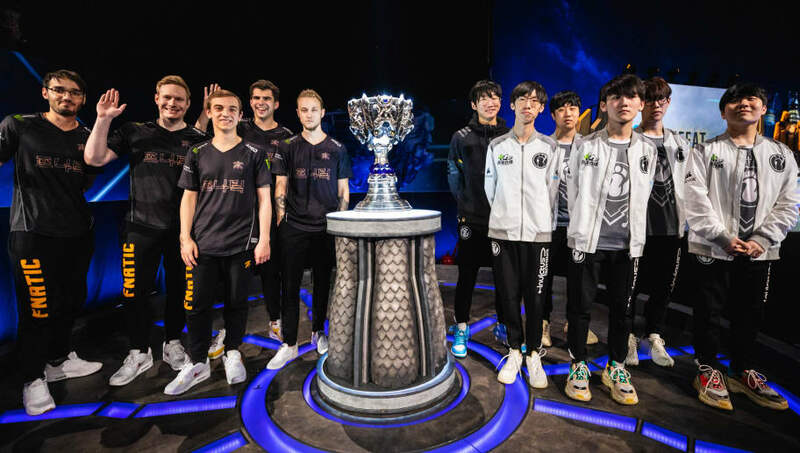 The League of Legends World Championship is, unfortunately, coming to a close, but not before the two top teams in the world compete for the Summoner's Cup. The teams look closely matched in strength, but given Fnatic's performances over Invictus Gaming throughout the tournament, the series is seemingly falling into the hands of the European team. It took 8 years to get an NA vs. EU BO5 at Worlds. It went just as expected. FNATIC move on to the 2018 World Championship Grand Finals, the first European and Western team to do so since Season 1. Fnatic previously defeated the Chinese team during the group stage as the two faced each other in Group D. The European team initially fell to Invictus Gaming, but after making adjustments halfway through the week, it was able to bring down its opponents for two games in a row, securing first place in the group. Both teams experienced a similar journey throughout quarterfinals, although the path was slightly easier for the European team. Invictus Gaming narrowly defeated KT Rolster in a full five-game series, whereas Fnatic defeated EDward Gaming 3-1. Both teams clean-swept their semifinal series, solidifying their positions as the two strongest teams in the tournament. The two League of Legends teams share a similar strength at the individual level, except in different areas of the map. Invictus Gaming arguably has the better solo laners in Song "Rookie" Eui-jin and Kang "TheShy" Seung-lok, but Fnatic's jungler and AD Carry easily trump those from the Chinese team. It's difficult to say which pair of players will impact the outcome of the game the most; this year's meta has heavily circulated around carries in the solo lanes, while straying away from the bot lane orientated meta viewers have seen so often in previous years. I made a tweet a while back about wanting to see a best of 5 between Fnatic and Invictus Gaming because of the stylistic similarities (yet the differences) between them. I have gotten my wish on the biggest stage possible. Bring it on. However, Mads "Broxah" Brock-Pederson has proven himself as one of the best junglers in the world as he heavily influenced his team's win against Cloud9 when he combined his strength with his solo laners to set up two unstoppable lane kingdoms with the team's rookie top laner Gabriël "Bwipo" Rau and star mid laner Rasmus "Caps" Winther. The win condition for Fnatic is clear: because of Rookie's strength as an individual laner, it's absolutely necessary for Broxah or Fnatic's support Zdravets "Hylissang" Iliev Galabov to secure advantages for their mid laner through successful roams and strategic warding. Furthermore, the European team needs to use its advantages in the bot lane, as it will likely fall in favor of Fnatic with the matchup between Martin "Rekkles" Larsson and Yu "JackeyLove" Wen-Bo. If Rekkles can secure an early turret advantage, he can roam mid and further put a dent into Rookie's capabilities. Both Fnatic and Invictus Gaming look equipped and ready to go into the weekend, even if the European team looks slightly stronger. The series could fall into either team's hands with the slightest misstep, so viewers won't want to miss out on the action when it begins Nov 3. at 3:30 a.m. ET.